An engineer by training, Karthik leads The Council’s work on the Power Sector. His research focus includes the operational reform of DISCOMs in India and the competitiveness of various power generation sources. 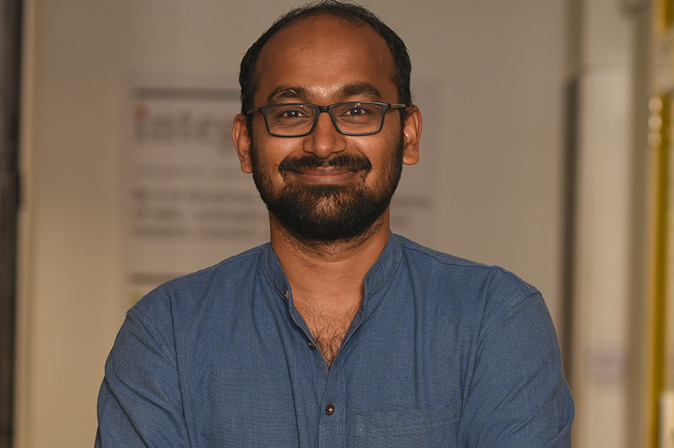 In recent years, Karthik has led an independent effort to assess GHG emissions from the industrial sector and improve transparency in reporting, and has had an integral role in the establishment of the GHG Platform India. He has also led a first-of-its-kind evaluation of the impact of industrial policies on the renewable energy sector in India. He supports ongoing work on the drivers of energy efficiency uptake in industry and the evaluation of energy access indicators for rural Indian households. Karthik holds a Masters degree in Public Policy from the Lee Kuan Yew School of Public Policy at the National University of Singapore. He also holds an undergraduate degree in Civil Engineering and an an M.Tech in Infrastructure Engineering from the Indian Institute of Technology, Madras. For sustainable growth to be a reality, it must first become an obsession. Only a dogged pursuit on a daily basis can get us there. It's not for the poor, it's not for the rich. Sustainability must begin at home. Every office should have a Karthik, but luckily, he's ours to keep. As a CEEW fossil, he often serves as the gold standard for research rigour, persistence, and quantitative skills. He's funny, exceptionally smart, and my favourite person to disagree with.